Lord of the Flies is a story driven by a battle for power. It is about a clash between the two halves of the human mind: the civilized and the wild. 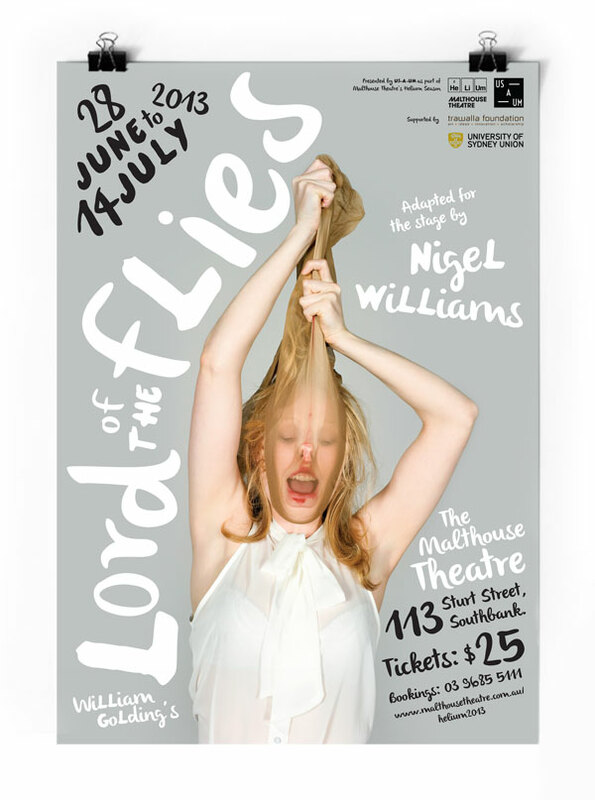 Us-A-Um’s production of Lord of the Flies will be performed with a complete female cast. With these two thoughts in mind, and the strong photography provided, I wanted to come up with a design that was a bit rawer but with hints of femininity through typography. This entry was posted in New Work on June 6, 2013 by gillianpthomas.